Tyres are your cars main safety feature, they are the only thing between you and the road. Choosing part worn tyres could be a risk to your safety and also a false economy. TyreSafe is one of the UK’s leading tyre safety organisations, dedicated to raising awareness about the dangers associated with defective or illegal tyres. They are urging motorists to be extremely vigilant if considering buying used or part worn tyres. TyreSafe has been campaigning to raise awareness of the potential dangers of part worn tyres since 2016. When buying a used tyre, the motorist has little or no evidence of how that tyre may have been used and why it was removed by the previous owner. This lack of past history leaves motorists vulnerable to varying levels of competency among part worn retailers. 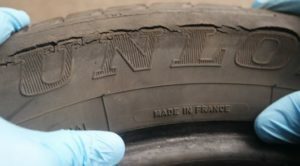 One of the most recent investigations in, which TyreSafe was involved, showed that just four of the 67 used tyres inspected were sold in compliance with legal regulations. Of those, more than half, 58 per cent, had defects impairing their safety, including poor repairs, structural damage and age-related deterioration. Not only are part worn tyres a significant risk to road safety, they typically represent a false economy as they will need replacing sooner than a new tyre which may be bought at a similar fitted cost. Tyres have more than 30 components which means that if a tyre has some damage you may not be able to see it. 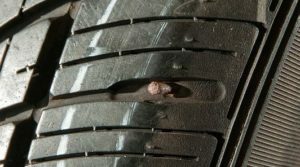 Cracking sidewall: The full extent of this damage caused by age and conditions of use can be seen when the tyre is inspected off the wheel. Object in tyre: This tyre had a nail puncture in the shoulder, making it unsafe and illegal to supply. 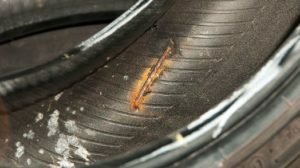 If you find a part worn which has passed all the checks – how much tread is left? Most drivers buying part worn tyres do so in the belief that they offer better value for money compared with new tyres. However, this isn’t necessarily so and buyers should consider the cost per mm of useable tyre, rather than just the initial purchase price. New tyres are normally sold with around 8mm of tread depth, whereas part worn tyres may have as little of 2mm of tread left. 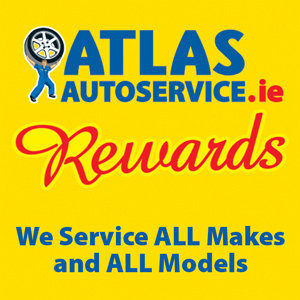 With a legal minimum tread depth of 1.6mm in Ireland, the cost per mm of useable tread of part worn tyres can be considerably more than that of a new tyre. Equally, part worn tyres will need to be replaced much sooner than a new tyre meaning further expenditure will be required.